I cannot thank you enough for your support for the Francofete on March 25th at the Hotel Providence Ballroom. Your attention to all the extras, on top of fabulous music and timing helped make for a beautiful event. Your timing was impeccable for music presentation. I think I have never seen so many people on the dance floor in past events. Your professionalism and attentiveness to details, was very reassuring. Thank you for arranging the up lighting, providing a microphone, spot light for the singer, and speaking setup. On behalf of the entire Alliance board, I applaud your service. I look forward to more fun times! Amanda Dessert recommends Jett Jam Entertainment. September 20 at 5:41 PM · Jeff & Michelle are awesome!! Wouldn’t recommend anyone but THEM! Both are extremely nice and super easy to work with! They kept the party going all night long!!! 5 out of 5 stars!! · September 12 · Jeff and Michelle exceeded all expectations when they DJ'ed our wedding a couple weeks ago. The uplighting they provided made the room look great and they kept the crowd lively and entertained throughout the entire reception. We would definitely recommend them for any occasion. Jett Jam Entertainment provided the DJ service for my wedding in July. They were amazing to work with from start to finish. My husband and I appreciated their flexibility and understanding. With my husband being in the military, a wedding date was hard to set in stone however, Jeff and Michelle were willing to reschedule with us if necessary. That meant so much to us! Leading up to the wedding, Jeff and Michelle guided us through the plans of the reception, offered their assistance, and worked to understand the kind of music and atmosphere we were looking for. On our wedding day, they played the perfect blend of music, from oldies to country to pop. They kept the guests entertained and on the dance floor all evening and even took pictures after the photographer left for the night. They went above and beyond to make our wedding reception all that we wanted and more! I would highly recommend them to anyone! Thank you Jeff and Michelle! 5.0 View moreMet Jeff and Michelle at a wedding expo and liked them immediately. They were very communicative during the process, met with us in person twice and responsed to my many emails almost immediately. My wedding guests complemented Michelle and Jeff, saying they did a great job with the music and keeping everything going. Everyone had a great time and I’m sure it was mostly due to the great music provided! Karen Spittell Ogden recommends Jett Jam Entertainment. · May 17, 2017 · As a wedding photographer, I have had the pleasure of working with Jeff and Michelle a few times. They are so kind and easy to work with and really know how to keep the crowd going. I know I'm in for an easy reception working with them. Judy Limpus Heath recommends Jett Jam Entertainment. 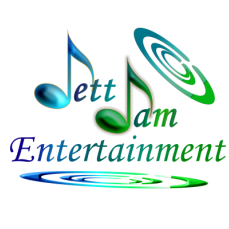 · August 3 · I hired Jett Jam Entertainment to play at my daughters' birthday/graduation party. they were wonderful. They connected with the kids and played great music all night. the kids had a blast. Best party ever. Thank you Jeff and Michelle for making the night so special. I would definately recommend them for your party!